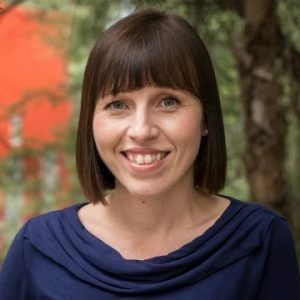 Dr Sara Davies is an Australian Research Council (ARC) Future Fellow and Associate Professor at the Centre for Governance and Public Policy, School of Government and International Relations, Griffith University, Australia. She is committed to upholding the proud tradition of the AJIA as a forum for the highest quality of debate about Australia’s role in the world. Sara’s research interests are in global health governance, health diplomacy and prevention of sexual violence in conflict situations. Sara Davies has published in Review of International Studies, Security Dialogue, and International Affairs. Sara is author of Global Politics of Health (Polity) and Legitimatizing Rejection: International Refugee Law in Asia (Martinus Nijhoff), and co-author of Disease Diplomacy (Johns Hopkins University Press) with Adam Kamradt-Scott and Simon Rushton. Davies, S. (2017). Asylum Seekers and Australias Security. In Navigating the New International Disorder: Australia in World Affairs 2011 – 2015 (pp. 109–122). Davies, S. (2017). Making these beautiful resolutions real: Sara E. Davies in conversation with Devanna de la Puente.International Feminist Journal of Politics, 19(1), 112–117. Davies, S. (2016). Addressing the Gender Gap in R2P. In The Oxford Handbook of the Responsibility to Protect (pp. 489–58). Professor Ian Hall is a Professor in the School of Government and International Relations, Griffith University, Brisbane, Australia. Like Dr Davies, he is also committed to upholding the proud tradition of the AJIA as a forum for the highest quality of debate about Australia’s role in the world. He is currently working on an Australian Research Council-funded Discovery project (2015-17) on the evolution of Indian thinking about world politics since 1964. He also convenes the Master of International Relations program at Griffith. Hall, I. (2017). The history of international thought and international relations theory: From context to interpretation.International Relations, 31(3), 241–260. Hall, I. (2017). Narendra Modi and Indias normative power. International Affairs, 93(1), 113–131. Hall, I. (2016). The Persistence of Nehruvianism in Indias Strategic Culture. In Strategic Asia 2016-17: Understanding Strategic Cultures in the Asia-Pacific (pp. 141–167). Hall, I. (2016). Multialignment and Indian Foreign Policy under Narendra Modi. The Round Table, 105(3), 271–286. Envall, H., & Hall, I. (2016). Asian Strategic Partnerships: New Practices and Regional Security Governance. Asian Politics & Policy, 8(1), 87–105. Enwall, H. D. P., & Hall, I. (2016). Are India and Japan Potential Members of the Great Power Club? In Asia-Pacific Security: An Introduction (pp. 63–82). Hall, I. (2017). Perilous Interventions and the Responsibility to Protect. Global Responsibility to Protect, 9(2), 203–210. Hall, I. (2016). International Theory Beyond the Three Traditions: A Students Conversation with Martin Wight (1913-1972). InThe Return of the Theorists: Dialogues with Great Thinkers in International Relations (pp. 285–292). Hall, I. (2016). India in Australias 2016 Defence White Paper. Security Challenges, 12(1), 181–185. Hall, I. (2015). Radicals and Reactionaries in Twentieth-Century International Thought. (I. Hall, Ed.) Radicals and Reactionaries in Twentieth-Century International Thought. United States: Palgrave Macmillan. Hall, I. (2015). Normative Power India? In J. Gaskarth (Ed. ), China, India and the Future of International Society (pp. 89–104). London: Rowman and Littlefield International. Hall, I. (2015). Introduction: Radicals and Reactionaries in Twentieth Century International Thought. In I. Hall (Ed. ), Radicals and Reactionaries in Twentieth – Century International Thought (pp. 1–16). United States: Palgrave Macmillan. Hall, I. (2015). Mephistopheles in a Savile Row Suit: V. K. Krishna Menon and the West. In Radicals and Reactionaries in Twentieth – Century International Thought (pp. 191–216). United States: Palgrave Macmillan. Hall, I. (2015). Unity in Christ: Martin Wight on the Disunity of Mankind. Millennium: Journal of International Studies, 44(1), 134–136. Hall, I. (2015). Is a Modi Doctrine Emerging in Indian Foreign Policy? Australian Journal of International Affairs, 69(3), 247–252.